Overview: Get ready to embark on the journey of a lifetime! One of the most exciting trips we've ever offered, this fifteen day adventure takes you from the world you know into a truly magical environment. We meet in Yangon to explore this awe-inspiring Asian city and former capital. Visit gold-plated, Shwedagon Pagoda rising high above the glorious tree lined boulevards. Continue to Bagan, the captivating "land of five thousand pagodas," built from 1050 to 1290 A.D. Then on to Mandalay to enjoy the city's best sites: a stroll along the world's longest teak bridge and a sunset climb up Mandalay Hill for astounding views. Another trip highlight is Inle Lake — known for floating gardens, 'leg rowing fishermen' and entire villages built on stilts. You can see how a culture can arise where you may have thought unlikely. 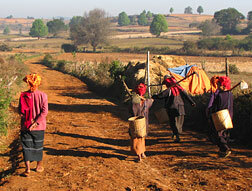 Short-but-moderate treks carry you to the hospitality and culture of villagers as well as some spectacular scenery. The region is a hotspot for wildlife and biodiversity with a huge number of species. Leadership: The Vietnam North to South Tour Leader is Effie Fletcher. For many years Effie led Sierra Club backpacking trips and is a graduate of the National Outdoor Leadership School's course for Outdoor Educators. She maintains her certification as a Wilderness First Responder. In the last two decades, she's led many overseas tours and treks to Nepal, India, Pakistan, Bhutan, Tibet and Vietnam. A practicing Buddhist, Effie is the coordinator of the Dharma Journeys Pilgrimages, and is a graduate of Goddard College in Vermont. Note that with an undersubscribed group of four or less, our experienced local staff will lead this trip. Pre Trip Days: Fly to Yangon, Myanmar. Remember, people in the Americas 'lose' one day when crossing the international date line. Note that you must arrive in Yangon no later than December 3, 2017. If you arrive early we can arrange an arrival transfer, services and accommodation before or after your trip on request. Ask us questions before you plan and purchase air tickets! Day 1: Welcome to Myanmar! After arrival formalities, you will be greeted by your guide who will accompany you right to the hotel. Your journey will be one of rich history and culture but with a vibrant future. 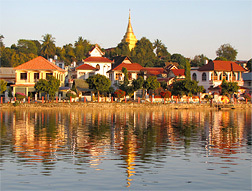 Although the military government had officially relocated Burma's capital to Naypyidaw in March 2006, Yangon, with its population of over four million, is still the country's largest city and most important commercial center. The second world war saw much violent action here, following the first air raid on 23 December 1941. Over 80 Japanese planes bombed Yangon, leaving over 2000 dead civilians and by 20 December 1942, Yangon was evacuated. Since then, much has changed but today, the path towards a stable economy and society is rapidly taking shape. After refreshing at your hotel, meet your leader and guide for an introductory tour to the old colonial-style city center with its gilded Sule Pagoda. 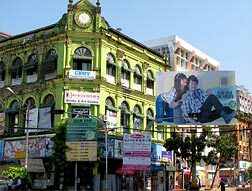 Strolling along Mahabandoola Road, Pansodan Street and Strand Road, you'll observe historical heritage buildings such as the Central Post Office (formerly GPO), the historic Strand Hotel, Custom House and High Court (from the days of British administration and WWII) as well as the busy pulse of the neighborhoods. Day 2: Yangon to Bagan. 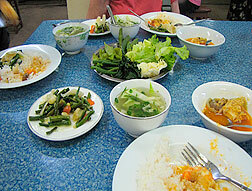 After breakfast this morning, it's time to head to the airport for your flight to Bagan. Once in Bagan, you'll be met at the airport and brought to your hotel. 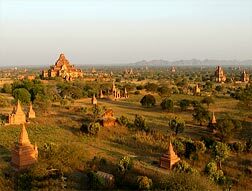 Bagan's exploration begins with a visit to Upper Terrace Temple, for a panoramic view across the sweeping plains of Bagan. 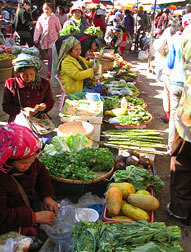 Visit the colorful Nyaung Oo Market where, each day, locals come to buy and sell fresh produce and a variety of goods. Nearby, the golden stupa of Shwezigon Pagoda is a fine introduction to Bagan's rich history. Wetkyi-In Gubyaukgyi, a cave temple with exquisite Jataka mural paintings and the elegant Htilominlo Temple, noted for fine plaster carvings and glazed sandstone decorations are more highlights to discover. The afternoon gets crafty with a visit to a traditional lacquerware workshop. 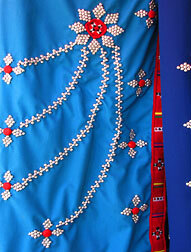 Here, you'll observe the painstaking details of one of Myanmar's best-known handicrafts. 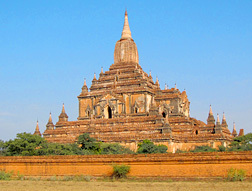 Ananda Temple, an architectural masterpiece and one of Bagan's most beautiful temples lies ahead. Built in the early Mon-style, Ananda contains two unique Buddha images whose expressions seem to change depending on the distance from which the statue is viewed. Day 3: Bagan & Evening Cruise. 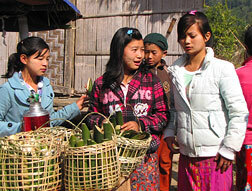 After breakfast, visit the colorful Nyaung Oo Market where villagers gather each day to buy and sell their produce and goods. 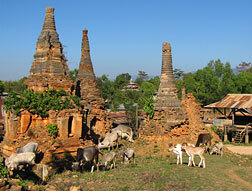 Visit Myinkaba village for a short walking tour exploring the temples of Manuha and Nan Paya. You can continue seeing more temples and craft shops in the area or return to your hotel to relax from the midday heat. Thousands of ancient stupas and temples in this area make Bagan one of Asia's most remarkable archaeological sites — nominated as a UNESCO World Heritage Site. 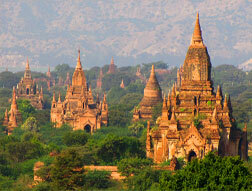 The 'Kingdom of Bagan' dates back to the early 2nd century A.D. 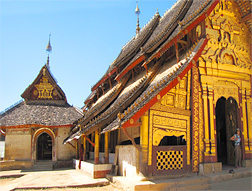 It entered its golden age with the conquest of Thaton by King Anawrahta in 1057 A.D. From the 11th to 13th century (until Bagan was overrun by Kublai Khan's forces in 1287 A.D.) more than 13,000 temples, pagodas and religious structures were built. 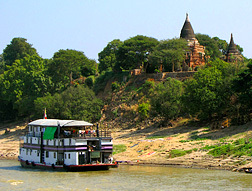 Thousands of stupas and temples still remain along the banks of the Irrawaddy River. Day 4: Bagan to Mandalay. 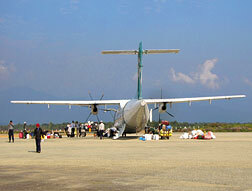 Early this morning transfer to the airport for the flight to Mandalay. We first visit Mahamuni Pagoda. 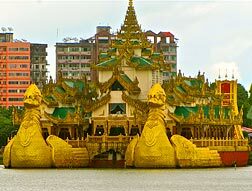 This pagoda is home to one of Burma's most revered Buddha statues which, over the years, has been covered with gold leaf giving it an almost 'lumpy' texture. 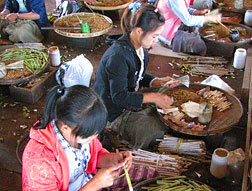 Mandalay is known for its skilled craftsmen. We'll tour traditional workshops to observe the production of wood carvings, kalaga tapestries, and gold-leaf where techniques have remained unchanged from those used centuries ago, crafting items for the Royal Court. Lunch is at local restaurant. Day 5: Mandalay, Ava, Sagaing, Amarapura. This morning, cross a bridge over the Irrawaddy River to Sagaing. Covered with 600 white-painted pagodas and monasteries, Sagaing Hill is regarded as the religious center of Myanmar and home to 3,000 monks and 100 meditation centers. Visit pagodas such as Swan Oo Pon Nya Shin and U Min Thone Sae. 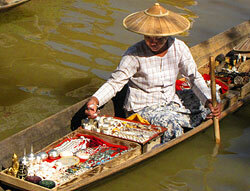 We'll visit Sagaing's market (which few tourists see) and its array of locally pottery, silver and handicrafts. 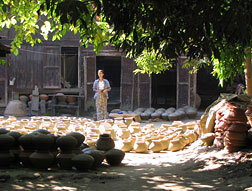 Later, stop in a small pottery village to see the crafting of the iconic water pots found throughout Myanmar. Continue south to Ava, the capital from 14th to 18th centuries. A short ferry ride takes us across the river to where our horse and carriage await. Visit the wooden Bagaya Monastery and the remains of the Royal Palace and Fort. Many small villages located near Ava's ruins and as you travel by horse and cart you'll get a glimpse of local life in the Burmese countryside. Stop for lunch in Ava before returning to our car. 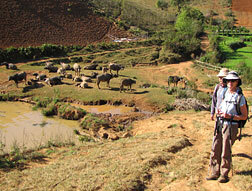 Day 7: Kalaw & Begin Inle Trek. After breakfast, begin your trekking adventure. Today you pass Lut Pin and Shar Pin villages on the way to Nan The' Le Te. The first 2.5 hours pass through Shan scenery and Shar Pin and Lut Pin villages. You'll have chances to interact with the locals as well as to observe a daily life unchanged over generations, relying on the land to live. They are happy and relatively carefree with a simple life which lacks in both modern amenities as well as modern stress. Day 8: Trek to Htee Thein. This morning, visit around Nan The' Le Te with its morning farming activity. 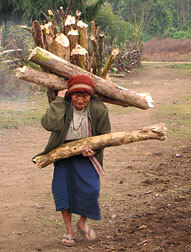 You'll find villagers working in the field cultivating their wheat and ginger crops. 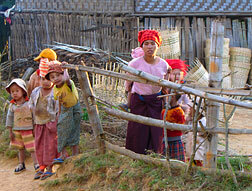 Return to the trail to continue with a 2.5 hour trek to reach Kon Hla village via Baw Hnin Kone and Htun Kom Villages. 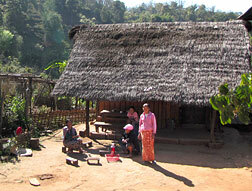 After a trailside lunch, we hike onward about 1.5 hours to pass through Pauk Tu Village and reach Htee Thein Village. 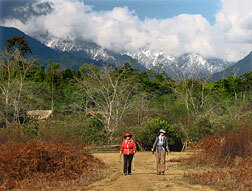 The trail rewards us with fine panoramic views of the Shan mountain range and its unspoiled natural beauty. Day 9: Indein To Inle Lake Trek. The final day trekking carries you to Inle Lake, with an option to end at the village of Indein or Than Daung to see the five-day floating market. 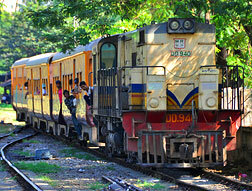 The trek to Indein takes three hours, or add one hour to end in Than Daung. Day 10: Inle Lake. 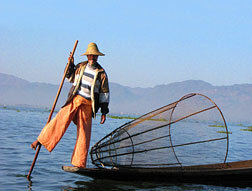 A private motorboat will take you out on Inle Lake, one of Myanmar's most spectacular sights, after breakfast. 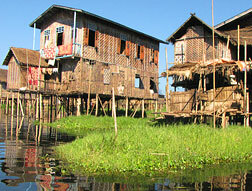 Float past villages of the local Intha people, with houses built on stilts over the lake. You'll see the leg-rowing fishermen and their floating gardens built from strips of water hyacinth and mud, anchored to the lake's bottom by bamboo poles. Visit Nga Hpe Chaung Monastery with its dozens of Shan Buddha Images. 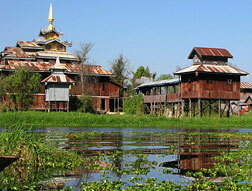 Continue to Phaung Daw Oo Pagoda, Inle Lake's main sanctuary, containing five sacred Buddha images covered in gold leaf. Day 11: Inle Lake to KengTung. You'll enjoy a peaceful morning at the lake before departing to the airport where you board your flight to KengTung and arrive at your hotel. 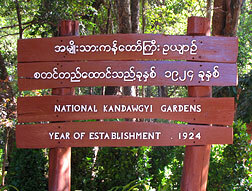 Day 12: KengTung Trek. 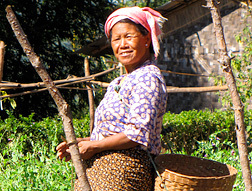 After breakfast, start a trek to the villages of Wan Nyat and Wan Shan. First, a 25 mile (2 hour!) 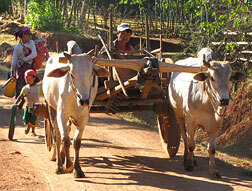 drive will bring you from Kengtung and on the way to Mong La. 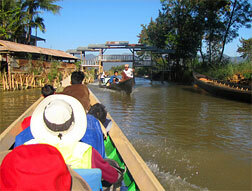 Our destination is accessible by vehicle up to Wan Nyat Village in season only. 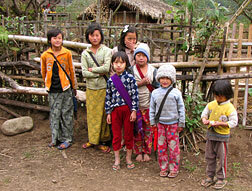 But, we can trek about 4 miles, three hours uphill to reach both villages from the Kengtung-MongLa road. 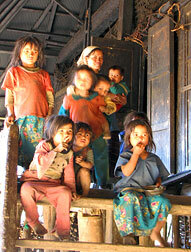 The Lwe La people live here in long houses of the Wa-Palaung sub-group (includes Wa, Lawa, Lwe La and Sanhton races). The village highlight is a wooden monastery said to be over 300 years old, carved in many places and with a double super-imposed roof. An elaborately decorated ceiling is lifted by huge red-lacquered poles. A little brick pavilion is found at the back which is believed to be the Ordination Hall with its colourful door and wall paintings, showing scenes from Jataka stories. Day 14: KengTung to Yangon. 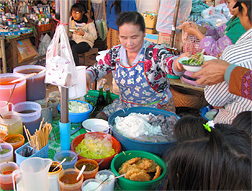 After breakfast, visit Kengtung's vibrant market. This is a bustling daily market is visited by villagers from throughout the surrounding area, here to sell their products and barter for goods. 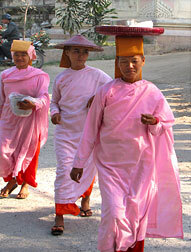 While strolling the market, you will see minority hill tribes in their traditional dress. PostTrip Departure: Return travel home or onward. Those in the Americas typically arrive home the same day with the reverse travel across the International Date Line. Important Note: This itinerary is designed only as a general trip guide to the schedule of our days. Changes may be made at any time as we go along and our flexibility will depend upon local conditions. Travel Details: If you are making your own arrangements, note that you must arrive in Yangon, Myanmar no later than December 3, 2017 and that you can not depart earlier than December 17, 2017. You are welcome to travel early or stay for extra days at the end as your visa allows. Ask about booking accommodation should you have an overnight Asia stopover. We can arrange additional nights at any of our hotels or guest houses for you. Airport pickup for early arrivals or late departures can be arranged upon request. Passport, Visa(s), Physicians Visit, Emergency Medical & Evacuation Insurance, Travel to/from Yangon, Myanmar, Meals Beyond Above Itinerary, Beverages, Spending/Personal Money. Mild to Moderate: Day hikes most days combined with a three day trek (hiking all day an average of four to six hours on three trek days). 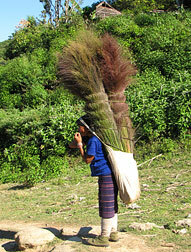 Trek accommodations at simple monasteries or home stays, other days at smaller area hotels.